Camping Reino de León is a campsite in Villamejil, León, located a river/stream.The campsite has pitches with some shade. It is possible to rent mobile homes. 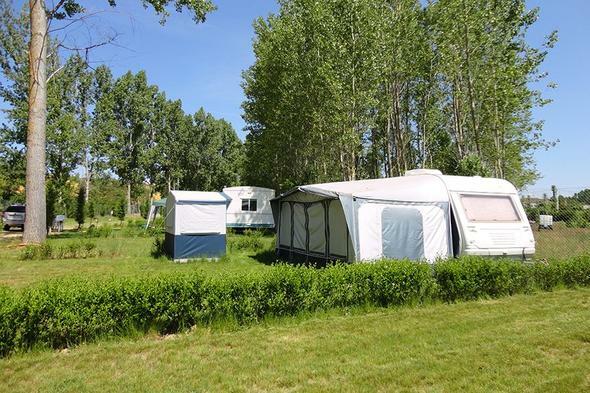 This inspector visits Camping Reino de León every year and inspects the campsite on the basis of more than 200 amenities and other points of interest. The inspector is an ACSI staff member and does not work for the campsite. Visiblement ils n'attendaient pas de campeurs. Des volailles étaient en liberté. Ce n'est pas gênant en soi sauf pour les excréments qui jonchaient le sol. Très déçus. Dommage car le cadre est agréable. Would you like to book Camping Reino de León or request more information? You can do both using the information below. ACSI Eurocampings will send your information request to "Camping Reino de León".